Orange sunset reflects off the wet, red sand of Makena Beach in South Maui, creating a contrasting transition from warm to cool. In the distance the small, uninhabited island of Kaho’olawe is visible. The blue clouds hovering over the island appear to touch its summit. Although red sand beaches are not uncommon on the island of Maui, most of South Maui is covered instead in yellow sands. 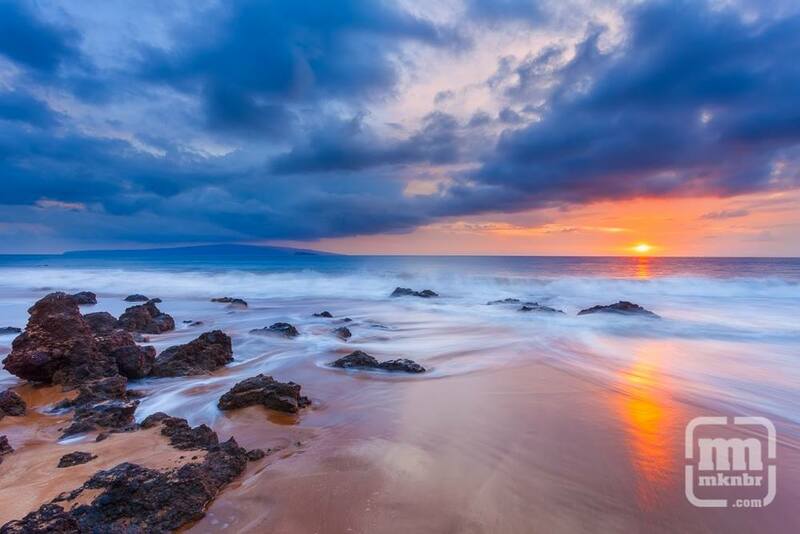 Makena Beach and its surrounding area formed differently, causing more iron-rich minerals to be captured. The iron mixing with water and air create a beautiful red beach.